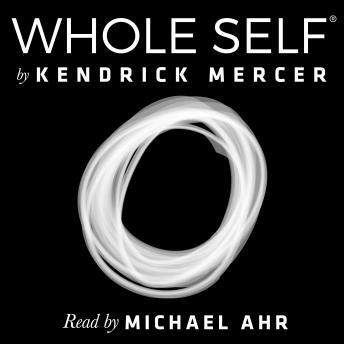 Kendrick Mercer's Whole Self tells the story of the birth, evolution, and history of human consciousness and its impact on the human psyche. Human consciousness is the most powerful unfolding force on the Earth with the potential either to lead us to annihilate ourselves by generating conflict or to work together wisely and in common purpose. Deep inside of everybody living today is an elemental state of being, Whole Self, which is the natural, instinctive, intuitive state of being that has been chiseled and honed in our biology over billions of years of evolutionary life experience as it was handed down from ancestor to ancestor, generation by generation, in an unbroken chain. Following a prehistoric disaster, our Cro-Magnon ancestors adapted the capacity for abstract reasoning. Unfortunately, this Shift in cognitive ability had a major drawback: It introduced fear into our minds, along with the response to fear, control; two issues we've had to contend with ever since, which are major sources of human suffering. The return to the normal and natural state of being: tranquility. The ability to perceive the unspun truth of each moment. The capacity to come from the state of tranquility and respond spontaneously and appropriately, with minimal effort, to the truth of each moment. Collectively, we gain a path to peace, prosperity, and better mental and emotional health. At the present stage in the evolution of human consciousness, consciousness itself has clouded and shadowed the incredible power and benefits of Whole Self, creating stress, fear, and insecurity within the entire human population. Nonetheless, Whole Self lies latent in the DNA of each human being, where it is always ready to awaken an elemental state of tranquility and power. The reawakening of Whole Self is appropriate and necessary for the continuing survival of humans, and possibly all life on Earth. As we reawaken to the implicit gifts of Whole Self, these gifts will automatically merge with the powerful force of our human consciousness to create wisdom and help us solve the dire issues we currently face, such as overcrowding, shortages of resources like food and water, violence, poverty, and climate change.